Powerful concepts to help you increase conversions. Conversion Rate Optimization (CRO) is the art of getting website visitors to take the desired action and become a lead/opportunity in the sales funnel. The process begins and ends with the goal of increasing the percentage of visitors that convert into customers. 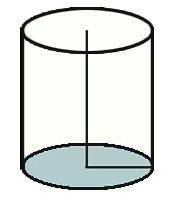 The goal of all of your business media should be to convert all visitors into leads and all leads into sales, thereby creating a sales cylinder as shown. Its all about the target market. You have to learn how your potential customer thinks and draft messages etc. that make those potential customers act. You have to read their minds. This is the common theme to all great marketers and marketing messages – they know how to get inside of people’s heads and say the right thing to the right person. Most people assume that when you talk about marketing that you’re automatically talking about mediums. These could range from radio ads, TV spots, internet banner ads, etc. There is something that is almost always more important than where you place your message. The creative or message side of marketing is the part that gets overlooked. What you say, how you say, who you say it to, and how they interpret it, is almost always more important than the marketing medium where you say it. Capture the attention of the target market. Facilitate the prospect’s decision-making processes. What is the goal or purpose of the website or the design of the website? 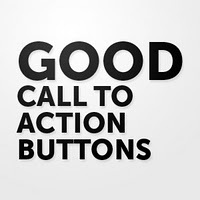 What does the Client want users to DO when they land on the website (call to action/offer)? What can we do to make the website seem personal? What can we do to breed trust with the website users (trust marks)? What can we do to make this website sell or convince? How can we make this website converts visitors into leads? What are the USPs (unique selling points) of the clients business? FEEL. Do they trust you? Are you making them feel comfortable? Websites should have personalities and should expose the personality of the company. People buy things from people and companies that they KNOW, LIKE, and TRUST. Your media should expose yourself and do things to help potential customers get to KNOW you. Radio companies charge the same amount to run a bad ad as they do a good one. It costs nearly the same to draft a stellar message on your website as it does to draft a poor one. Your website should be your BEST sales message. It costs less to improve conversions than it does to buy more media. It also increases the chance that they will move through the sales process further and become a customer. 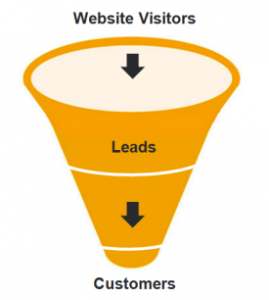 You have to have traffic generation to talk about CRO, it is a requirement. What Next? Request a free quote from our specialists. OR Call 888-559-3274 to speak with our team.